Toner Cartridge supply genuine printer cartridges at the most competitive prices. 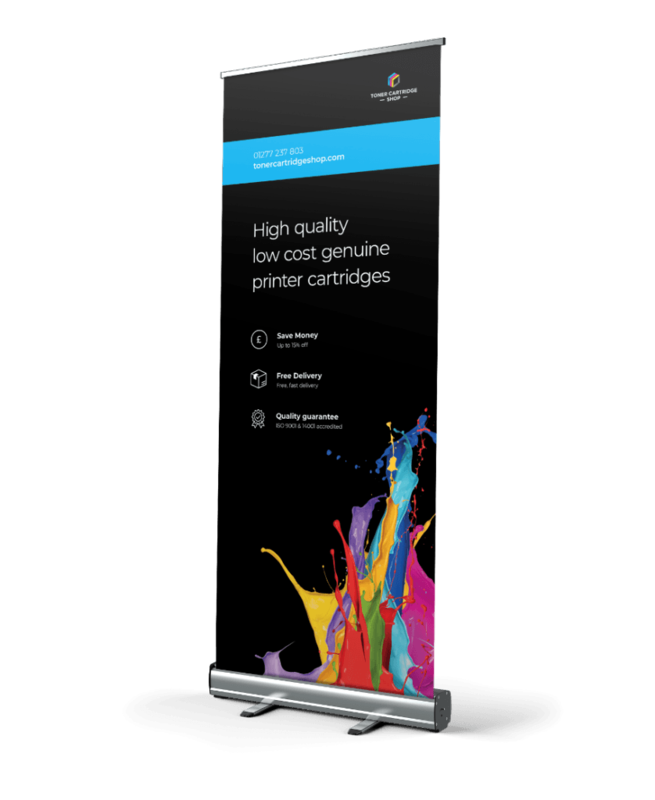 They aim to position themselves as a serious contender in the print cartridge arena by offering a great product, value for money, free shipping, fast delivery and great customer service. 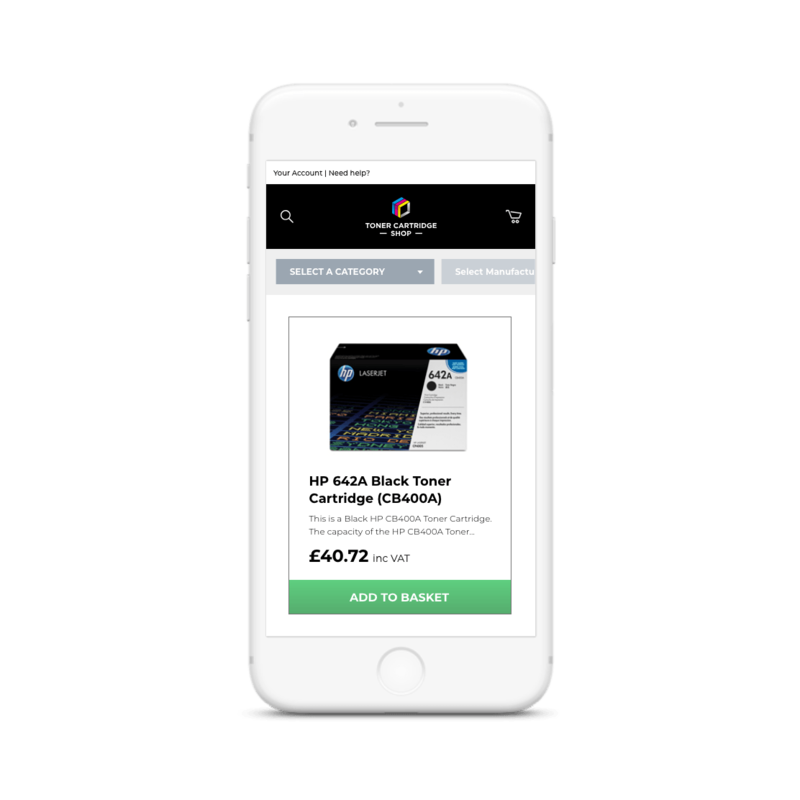 Toner Cartridge Shop (TCS) required Foundry Digital to assist in a rebrand and refreshed ecommerce presence. We wanted to create TCS an impactful logo that could extend into a strong brand both on screen and offline. TCS were in need of a strong eccomerce presence, so our starting point would be to consider the user and what they expect and want to see as from experience we know that the best approach is to discover and implement a user friendly journey. The client requested something clean, fresh and reflective of the print industry by using CMYK colours. As cartridges and their box packaging is central to Toner Cartridge Shop’s business model, we explored utilising a box shape. It was also important to investigate how font impacts the impact of the logo and how it portrays the company. The ecommerce store needed to reflect the new brand whilst offering user friendly functionality. A challenge was to present TCS’s unique offering of discounted plain boxed printer cartridges in an understandable and dynamic way to the potential customer. We explored the option that each full price item would be connected to its discounted version so that customers are presented with the option to make great savings. With TCS stocking a range of high quality print brands, there was also important discovery of how to present their products in a clean fashion with intuitive functionality such as filters and refine search so that visitors can easily find the print cartridge they require. A combination of bold colours, simple shape and clean font has resulted in a clear and impactful logo.The differentiation of Blue Pink Yellow and angled perspective of the boxed shape is reminiscent of how cartridges look when inserted in printers. The font is also in keeping to project their professional yet personable style of business resulting in every element of the logo is reflective of the brand, company or industry. 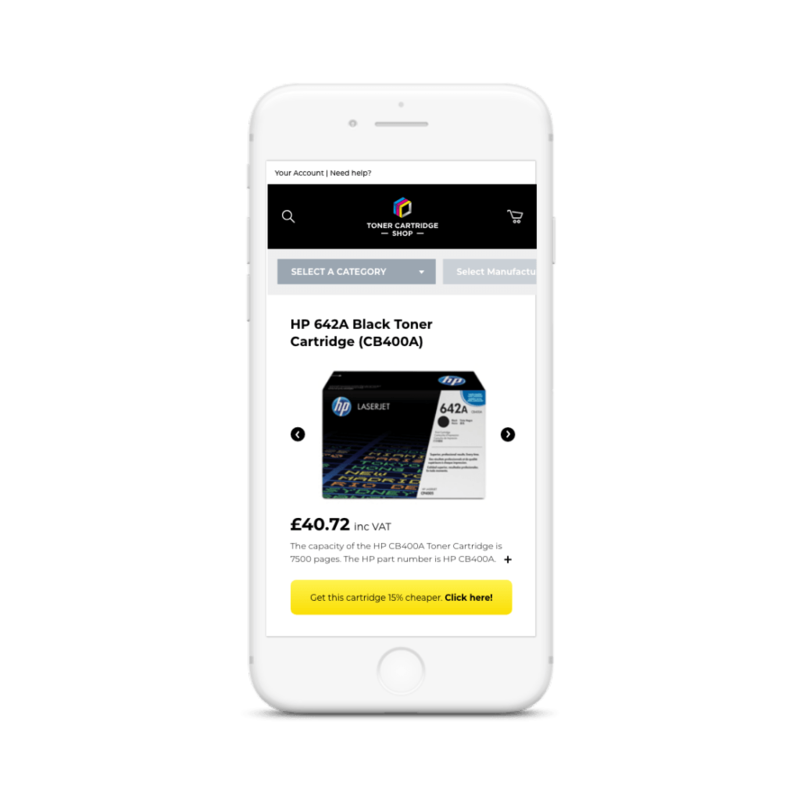 The Toner Cartridge Shop ecommerce store is a solid example of how Foundry Digital develop robust eCommerce websites that balance strong design with seamless functionality to give customers a great online shopping experience.. The concept and identity of colour has been extended across the site through images and call-to-action buttons whilst an overall fresh and spacious feeling has been created through using a clean and structured layout. The range of print marketing materials we have designed (and produced with our sister company Concept Foundry) really showcases the versatility of the new branding.